In this posting, I’d like to draw your attention to an issue that somehow gets avoided in our industry… the roof attachment. In this case, I am not talking about the mechanical pieces that protect your roof from leaks when installing your solar system. Plenty of attention gets paid to things like flashings for L-feet, tile roof hooks, stand offs with hoods, EPDM seals, etc. 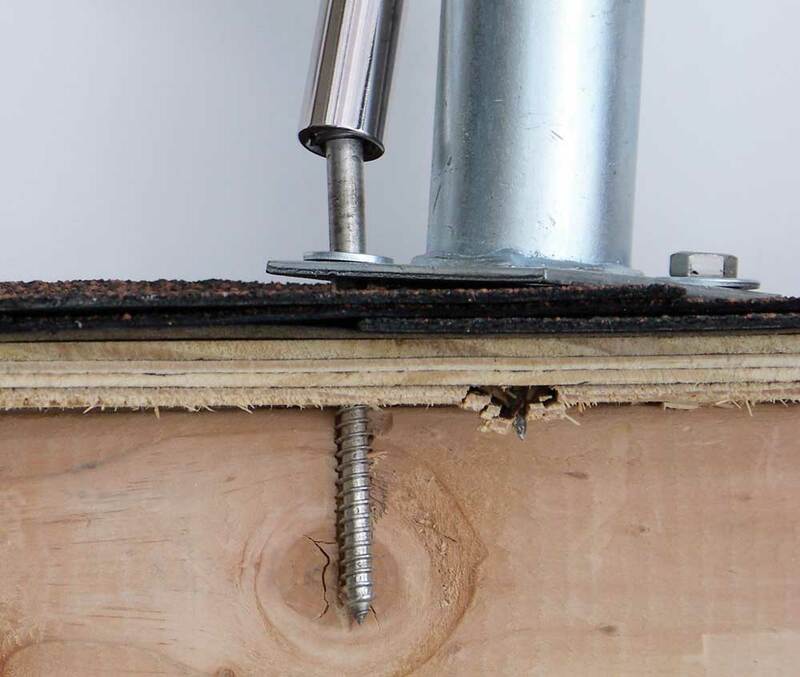 What I’m wanting you to know about is the actual way in which the hanger bolts or lag screws that go through your roofing material attach to the substructure below. A quick search through installation manuals for rooftop rail systems for PV solar, plus most industry publications, will point to the need to drive the lag screws & hanger bolts into your rafters or trusses. There are various methods outlined for doing this, but basically they involve drilling pilot holes up from the attic beside a rafter, measuring the distances between rafters, creating a “rafter map”, and then transferring this to the topside in the form of chalk lines. But, as you might imagine, it is easier to create such a map for the purposes of missing a rafter than hitting one. It is recommended that a lag screw of hanger bolt penetrates a rafter or truss at least 1.5x it’s diameter from the edge of the rafter. This means that for a 1/4″ screw, you have a 3/8″ “no screw” border on each side of the top chord of the rafter or truss, leaving you with a 3/4″ target in the middle. Even with pilot holes, and super accurate mapping of the attic, are you confident that your roofer or solar installer will be able to hit that target, exactly perpendicular to the roof, in potentially dozens of locations on your roof? The odds don’t fill me with confidence. So, what happens if you miss a rafter? Well, if you miss it entirely, you will not have the correct pull-out strength for that attachment. You would be anchored to roof plywood sheeting, and/or maybe a 1×4 strapping board. 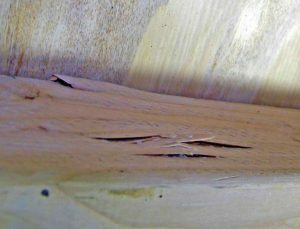 If you hit the rafter, but are too close to the edge of it, or blow-out the side of it, you have now damaged that rafter or truss chord, and should repair it by pinning a sister board down the side of it. 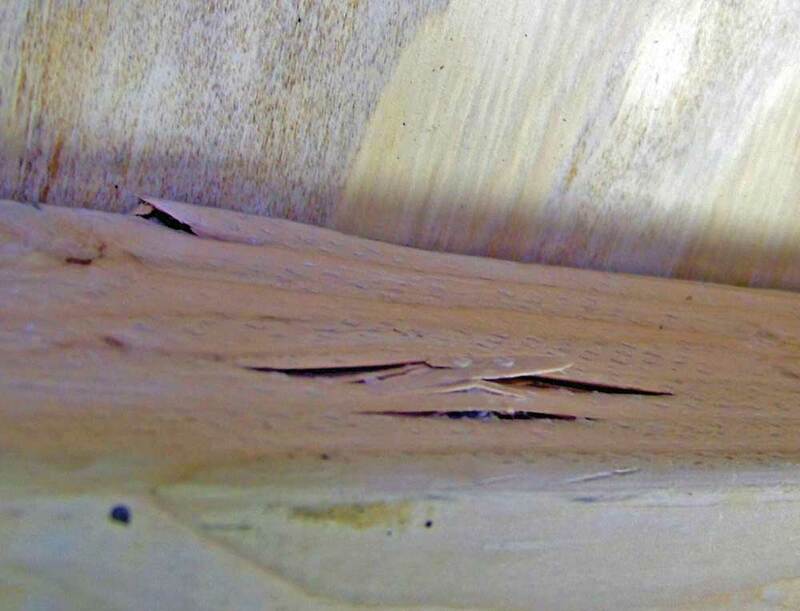 Is your roofer or solar installer crawling around in your attic making sure that none of your rafters are damaged, or attachments not even attached? Hopefully. And now that you know, you should ask. What Do The Truss Manufacturer’s Think About Solar? The problem is one of engineering. Trusses & rafters have been engineered to provide strength for your roof. They are designed to handle wind loads & snow loads, and roofers walking around on it, etc. Understandably, they don’t want you messing with their calculations by drilling holes into the top chord. If you do, you are likely to void your warranty. Which would have an effect on your home insurance, resale value, etc. Solar engineering tries to override the fears of truss manufacturers by pointing out that the top chord of any truss or rafter is under compression, and therefore adding steel lag screws or hanger bolts will only improve the strength of the wood involved. This might be true, but all the calculations done in the original design of your home did NOT include these factors, and if the truss engineers didn’t include them in their original calculations, they are unlikely going to take your word for it that you put all 48 screws in nice & straight in the centre of each. Another reason for truss manufacturers’ unwillingness to sign-off on your attachments: What if you ever need to remove the solar system? That’s right! Now you have a truss system with dozens of holes in the top chord. The strength of the roof is now compromised. The original designer/engineer won’t want their name on your swiss cheese. Unless you stagger your attachments between different rafters, you run the risk of putting the load of the solar array onto only a few of the rafters in your attic. For example, the top rail in your solar array would be attached to rafter 2, 4, 6, 8, etc (for 4′ spans), and your bottom rail would be attached to rafter 3, 5, 7, 9, etc. Putting all the attachments on rafters 2, 4, 6, 8, etc, will very likely result in your roof taking on a wave-like appearance in a few years, as the pressure of the array, plus snow loads, will compress the rafters. This is also one of the reasons why we are told not to run solar mounting rails in a vertical pattern on the roof when installing solar modules in a landscape orientation… it would mean loading every other rafter (having the rafter spacing meet with the solar module’s desired mounting locations is another reason). Fortunately, there are ways to install solar that protect your trusses or rafters, add strength to your roof, and won’t cause you to get angry emails from truss engineers. This is the process of adding 4×4″ wood struts either between your rafters, or alongside them. The blocks are attached to the sides of the rafters or truss members. 1. No holes in the top chord to compromise your truss strength. 2. You have a bigger target to hit. Simply drill a pilot hole for your flashing/L-Bracket location, drop a flag down the hole into the attic, then place your blocking in that exact spot. 3. Dispersed load – now your attachments can be placed in between the trusses/rafters, and the array load is shared between the two of them. You also no longer have to stagger your attachments & fumble with meeting long rail cantilever specifications. 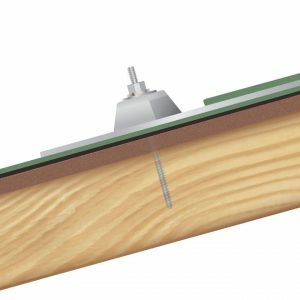 This is a fantastic product that attaches to your roof’s underlay plywood sheeting with multiple screws, and has been engineered to provide code-compliant pull-out strength. This is also the attachment you want if you do not have an accessible attic, have vaulted ceilings, low-slope roofs where the rail location is too difficult to get at from the attic, etc. Simply anchor the foot where you want it, cover & seal with the flashing, bolt-on your L-Foot bracket & carry on with the rail installation. Works with any rail system. There are things such as “Solar Ready Trusses”. These are based on standards that have been agreed upon by all the engineering stakeholders for building homes & structures that intend to have solar installed on them. Therefore, they have been pre-engineered to handle the loads & attachment methods. I encourage you to read-up on the latest options & standards available in your province. That’s all for this post. I hope it helps guide your solar PV installation. Solar should enhance your home energetically, aesthetically, financially, and physically, so it’s important that things be done correctly, without cutting corners. Please be sure to contact me with any questions or comments.